Last year, when Google first showed off its clever Assistant chatbot for searching the Web, playing music and video from your preferred apps and controlling your smart home appliances, it was exclusive to the company’s Pixel phone, Home speaker and the Allo messaging app. 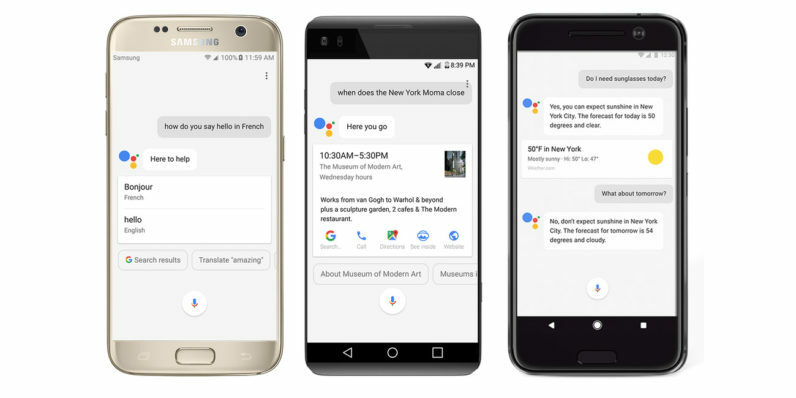 If you haven’t tried it yet, you’ll be glad to know that Assistant is rolling out to many more devices; Google says it’ll make the bot available to all phones running Android 6.0 and newer, as long as they’re running Google Play Services. One of the first handsets to get it is the new LG G6; starting this week, it’ll roll out to English users in the US, Australia, Canada and the UK, as well as German speakers in Germany. More languages and countries will be covered over the coming year. With that, Assistant is set to become a household name. In addition to mobile devices, the bot is also available on Android Wear 2.0-based smartwatches and is coming soon to TVs and cars. Today’s announcement will likely see Google in good stead as it takes on Amazon’s Alexa, which is also quickly gaining ground and expanding its list of capabilities.